With the correct postage on it you can post anything! Fact! 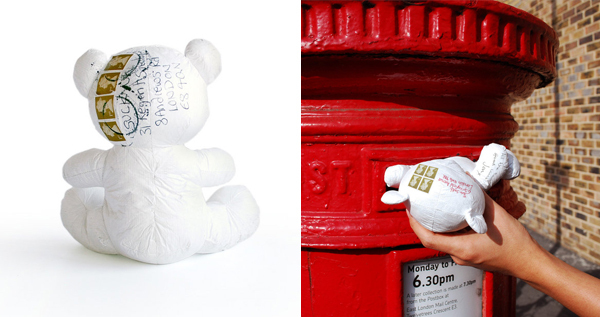 Write whatever you want on this postable Paper Teddy it resists water and rips and still remains crisp and easy to write on with a biro. Record how you feel with messages and doodles, then send it on it's merry way.